on the surface you want to mount the enclosure to. 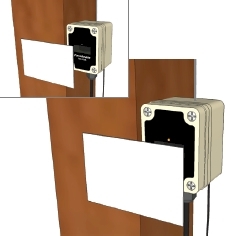 Solar panel wires are also pre-connected. If the cable requires shortening or lengthening, the wires should be reconnected and routed as shown in the diagram. The internal battery is installed but NOT connected on arrival and should be connected prior to the alignment test. vehicles but ignore small animals, flying birds and peripheral movement. up to 10m, up to 25m and up to 40m. 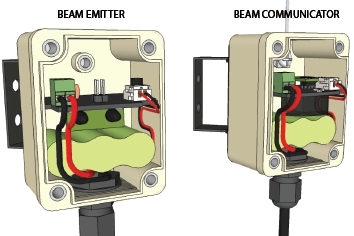 Mount the beam emitter and communicator (the one with the antenna) so the they are visually straight and squarely facing each other. 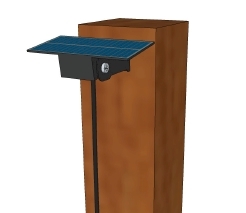 The solar panel swivel bracket is already fitted and 5m of weatherproof cable attached. It is important to find a position which allows the panel to face flat up to open sky and avoid shading on any side. The cable may be lengthened by another 10m if needed to gain the best position. the same you're done! Attach the Base receiver's antenna as per manual. Plug in the receiver's mains adapter and switch on. 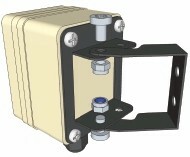 The beam/s is pre-coded to the base receiver and immediately ready for use. Pass through the beam to test. 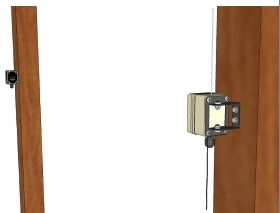 Parabeam products are an easy DIY installation. However we understand that some customers would prefer to have a local installer fit the system for them. They can also visit the site to give advice regarding products required for each individual application.